Or, check out our 2017 Kickstarter! We get it. You're not looking for a 100 page campaign setting that you can fit your story into. You're not looking for twenty pages of lore that you can twist to fit into your world. You have a story to tell, and you want to do it all. The world, the lore, the mechanics. You just want a simple framework, one that allows you to tell your story without making assumptions. One that lets you decides what's possible. That's where Solipstry comes in. We're not here to tell your story. We're not here to limit what can happen in your world. We're just here to provide you with the tools you need to tell your story. The way it's meant to be told. Minimal dice rolling and an intuitive levelling system make Solipstry a system that is simple to pick up, even for those unfamiliar with tabletop games. Grab some friends, roll some dice, and tweak any rules to fit your needs. Characters are a collection of five major skills, defining what they are especially good at. They can use both these and a myriad of other skills to progress as they influence both the story and the world around them. From the depths of space, to the magical dystopian future, even to western towns where dinosaurs roamed free, Solipstry can help you tell your stories in any setting, existing or new. If you can imagine it, you can play it. Solipstry started as a weekend project to compromise between two editions of Dungeons and Dragons. 4e lends itself to combat, which ended up being lengthy leading to a dearth of roleplaying. By comparison, character creation in 3.5 is mostly spent on skills, so those end up being used. Without creative roleplaying, combat for many classes can be repetitive. A compromise was sought in an early version of Solipstry. It was effectively an empty combat system, but one where all characters had abilities beyond simply moving and stabbing. Since then we've grown further. We started adding other features. Some that we love in existing systems, and others we'd only wished would come to life. Soon we had Power Words, a Luck system, and Blocking. Enlightenment brought buffs, both personal and party-based that allow for even more versatility, in and outside of combat. The system was starting to resemble the game we'd been imagining. But with those new mechanics came a need to fine-tune and balance. We added art and moved between four different environments to manage and prioritize work to be done. 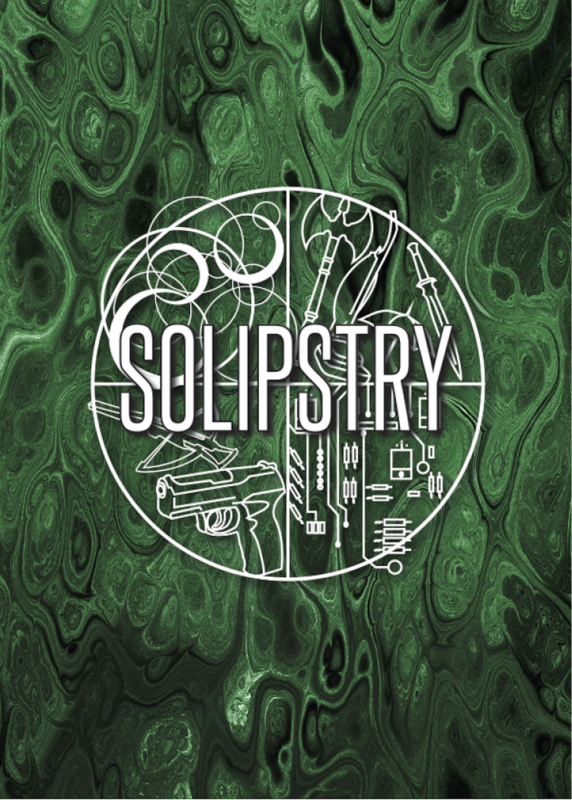 Eventually we consolidated to one, and six years after that first weekend, Solipstry was printed in hardcover. The name Solipstry comes from Solipsism: the belief that the entire world exists only in your mind. Everyone has imaginary worlds in their mind, fantasies of the land populated with dinosaurs, robots, pirates, shapeshifters and aliens. We're all born with an imagination and creativity that slowly dulls over time if not sharpened and maintained. Solipstry is the whetstone of imagination. It's a set of tools that lets you bring the mysteries of the world that exists within your brain into the lives of those around you. Build a world and see what adventures spring up. 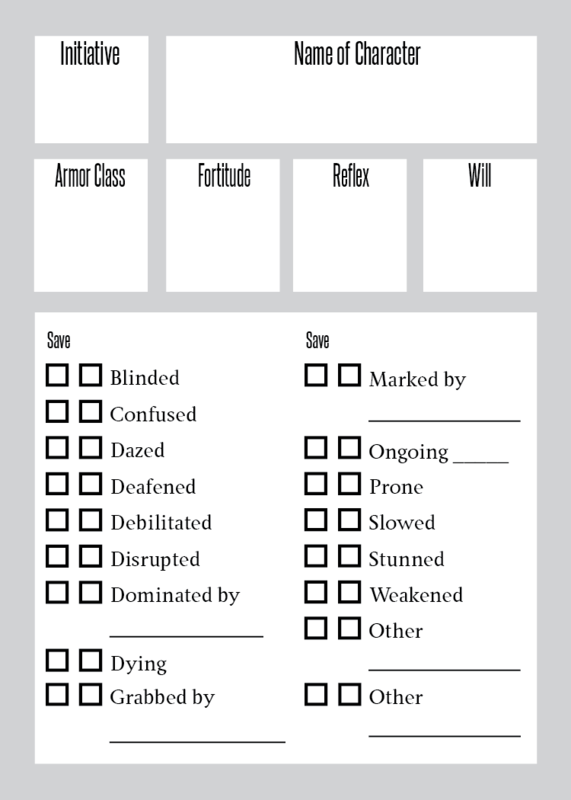 Grab the game, a character builder, and other helpful tools. This is the system that turned me into a full-stack dungeon master. Solipstry is a functional product. The market has been looking for something in about this level of complexity for a while now. This is THE official place to discuss everything Solipstry related. You can ask questions, discuss your settings, tell stories, examine rules, help others, or just hang around and talk to people. Please keep the discussion civil. Ten emails a year. No more, often less. Have a question for the creators? This section contains a wealth of information, related to Solipstry. If you cannot find an answer to your question, don't hesitate to post in the forum or contact us. How do I pronounce Solipstry? Solipstry can be pronounced two ways: so-LIPS-tree or SAUL-ips-tree. We're not picky. Where is Cobblestone Stargazer week 1? Unfortunately, week 1 was not recorded. The events of week 1 should be able to be inferred from the other audio sessions. Solipstry may not be for everyone. If you are an experienced DM who feels constrained by other systems, or even an inexperienced DM with a strong improv game who feels comfortable tweaking rules, Solipstry may be for you. The system is very friendly to new players, but puts a little more work on game masters. Many systems provide DMs with pages or books full of monsters, already formed and laid out. Solipstry does not. Veteran players (in addition to the inexperienced that the system targets) will also find things to appreciate in Solipstry, as it aims to be a middle ground in terms of crunchiness and freedom, but inexperienced DMs might want to remain wary. Is the Relinquish Ability overpowered? Relinquish, which allows a character to bypass any lock, restraint, or similar device, can seem intimidating to a GM. It seems like the Ability would impact the Game Master's power to require keys or otherwise plan dungeons. Relinquish is not the first Ability of this kind. If you need to have a door locked, there are reasons the spell might fail. Perhaps there is an Anti-magic zone, or rampant electromagnetic interference that might impact the character's ability to use an Ability. Perhaps the door can only be opened with the blood of a descendent of the mad wizard who sealed it. Perhaps relinquish will open the door, but fail to disable all of the traps on the other side. whatever your approach, it's important to remember to leave your players with agency. There are several ways you can give your player incentives to find keys without shutting down the Abilities they chose. How many tallies should I get for prolonged activities such as horseback riding? If you ride your horse all day long, it's reasonable that you'd get better at riding it. If you spend hours riding it and have a 12 in Ride, it's going to be difficult to pull off complex maneuvers, despite your character's depth of experience on a horse. To combat this, we suggest having a rate that tallies are assigned over prolonged use. A general rule across all skills we suggest is awarding one tally per two hours of general use. I use Gambit and make three attacks, each dealing 3 damage. If I target all three at my ally with 3 health, what happens? The attacks go sequentially. The first attack will reduce your ally to 0 hit points. The second will kill your ally (yikes!). The third attack would need to be redirected to a valid target. If I have a Control score of 11 and I use Backfire, increasing by Control score to 12, how much backfire do I inflict? When you made the attack, your Control was 11, so you inflict 11 points of backfire. Armistice says it targets all creatures. That's a mistake, right? What if I fail the saving throw granted to me by Shrug it Off? If you fail, you can attempt to save against it (and against every other condition affecting you) at the end of your turn. What is the Security skill used for? Security is used for securing and circumventing security systems. If it's part of a heist that doesn't involve manipulating people, it probably falls under Security. This includes hacking, lockpicking, feeding false images to security systems, and much, much more. In addition to covert ops, Security is used for securing a perimeter or installing each of the systems described above. Think of your favorite super spy. Security is probably their bread and butter. Does Reflect deal half the amount taken or half the amount of the attack? The reflect Ability makes it so you take half damage from all attacks for one round. Anyone who attacks you during that round will take half of the damage that you take. For example, if Igor the half-bear uses Reflect and then is attacked for 15 damage by Bruin the Wrangler, Igor would take 7 damage, and Bruin would take 3. If Igor had used Barrier to gain damage resistance 3 the round before, he would instead take 4 damage, and Bruin would take 2. The halving would occur before the damage reduction; damage reduction does not occur until you would take damage. Do Abilties that do not require a roll, like “Lesser Heal” or “Pulse” also grant a Tally to the relevant Skill? Apart from refreshing Enlightenment points as a standard action, how else do you gain Tallies in Enlightement? By activating Truths? Yes. Both refreshing Enlightenment and activating a Truth will grant a Tally in Englightenment. We all make mistakes. Ours are displayed here. 1.1 44 Change effect of Decoy to: You create the image of a small creature within your Control Range. The creature has one hit point and defenses equal to 10+ your Control Modifier. While this creature exists, you cannot be targeted with an attack that does not also include this creature. As a move action you can move the creature a number of squares equal to your movement. As a standard action you can make a melee attack through the creature, using your Control score and a d2 for damage die. The creature must remain within your Control Range relative to you at all times (sustain 80). No Range was given for where the creature could be created. 1.1 46 On Mass Inspire Terror, add a sustain of 25 per target affected. No sustain cost was provided. 1.1 48 On Debris Slam, change 1/2 your Destruction Modifier to 1/2 your Destruction Range. 1.1 52 On Reincarnate, replace "one creature" with "one adjacent creature". No range was provided. 1.1 52 On Shield, replace the effect with "You gain a bonus to all defenses and saving throws equal to your Enhancement Modifier (sustain 55. If there are any creatures adjacent to you, you must mark one of them." Improves clarity. 1.1 54 On Read Object, replace the effect with When you touch an object, you become aware of every person and thing that has come in contact with that object in the last (Utility Mod) days. This lasts for a number of hours equal to your Utility Mod No time frame was provided. 1.1 55 On Teleport, add "This does not provoke attacks of opportunity." to the end of the effect. Improves clarity. 1.1 61, 64 The damage die table should look like this: d2*, d4, d6, d8, d10, d12. Any effect that would cause the damage die to increase beyond a d12 will instead increase the damage multiplier by one. We intended to remove 2dx before print. The revised approch simplifies damage and is more in line with our design goals. Thanks to Kyle for pointing this out! 1.1 64 Add Damage (Cont.) heading to top of page. This change makes it easier to see what the text is referencing. Thanks to Zack for the suggestion! 1.1 86 Change definition of Backfire to: Some creatures may impose a percent chance to backfire. If an Ability user has a chance to backfire, she rolls a d100 when she uses an Ability. If she rolls over the chance she has to backfire, the Ability operates normally. If she rolls her chance or lower, the Ability either has the opposite effect as intended (glows instead of invisible, heal instead of hurt, etc.) or has no effect at all, per the discretion of the game master. If something gives an Ability user a percent chance to backfire, this adds to any percent she may already have. Backfire was defined backwards of what was intended. Thanks to Kyle for pointing this out! Generate names, places, and items for your campaigns. © Copyright , Idlewild Games, LLC.